Seaton is a superb one bedroom first floor apartment with fantastic panoramic views from the living area, a spacious bedroom, dressing room and separate bathroom. 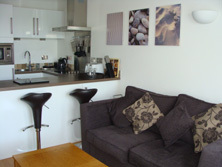 The apartment also has a double sofa bed in the lounge to allow for a second couple or children. An entrance hallway leads to the open plan lounge/dining/kitchen. 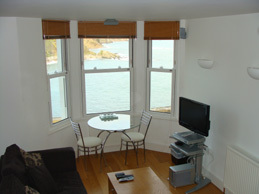 From your living area, you can look down the Looe River or across to Rame Head, 180° of spectacular views. In common with all the Westcliff apartments, Seaton has a fully equipped surround sound/DVD/Freeview system with a 26” LCD television. 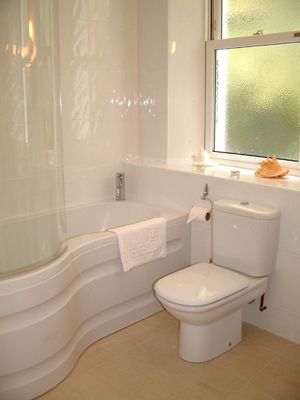 All furnishings are contemporary and designed to ensure maximum comfort and optimum ergonomics. 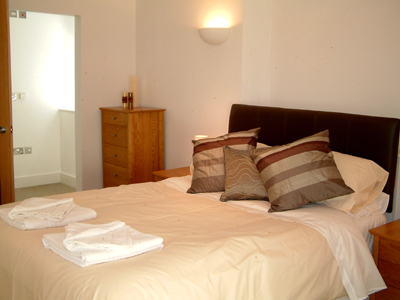 The apartment is also provided with Wi-Fi to allow you to keep in touch with the outside world. 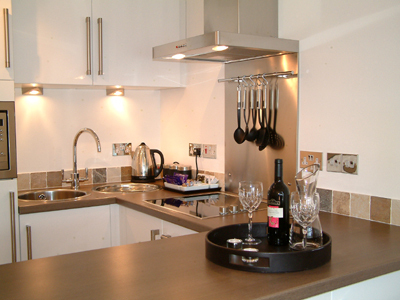 Seaton is finished throughout to the highest standard. Attractive single panel white oak veneer doors with Padouk inlay are complemented with Italian designed, smooth polished chrome ‘wave style’ door levers and the living area is finished with matching lacquered oak floor boarding. Seaton is truly a masterpiece of contemporary design and a luxurious option for anyone seeking the perfect blend of service and freedom for which our apartments are renowned.